A girl with a secret talent must save her village from the encroaching darkness in this “achingly poetic” (Kirkus Reviews) and deeply satisfying tale. Alys was seven the first time she saw the soul eaters. These soul eaters are twin sisters who were abandoned by their father and slowly grew into something not quite human. And they feed off of human souls. When her village was attacked, Alys was spared and sent to live in a neighboring village. There the devout people created a strict world where fear of the soul eaters—and of the Beast they believe guides them—rule village life. But the Beast is not what they think he is. And neither is Alys. Inside, Alys feels connected to the soul eaters, and maybe even to the Beast itself. As she grows from a child to a teenager, she longs for the freedom of the forest. And she has a gift she can tell no one, for fear they will call her a witch. When disaster strikes, Alys finds herself on a journey to heal herself and her world. A journey that will take her through the darkest parts of the forest, where danger threatens her from the outside—and from within her own heart and soul. 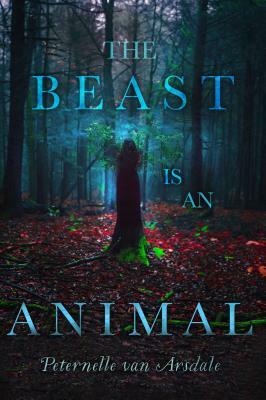 Peternelle van Arsdale is a book editor, essay and short story writer, and the author of The Beast Is an Animal and The Cold Is in Her Bones. She lives in Brooklyn, New York, where she is at work on her third novel. Visit her at PeternellevanArsdale.com. "With a fast-moving plot [and] atmospheric flashbacks...this is a swift and compelling read that will be popular with fantasy and retold-fairy tale readers." fantasy.... Van Arsdale sets up her dominoes so that when the first is finally knocked over, subsequent events cascade the story forward in a rush of energy through to the final showdown. The opening chapter, detailing the origin of the sister soul eaters, sets the disturbingly eerie tone of the book, and the atmosphere becomes oppressive in its darkness as the years move on and Alys’ inevitable meeting with the soul eaters come closer.... The detached narration and prolonged timeline makes this a slow burn story with a slightly folklike feel, and the few pages from the sisters’ perspective ratchet up the suspense to an almost unbearable level. The unsettling actions of the Puritan-like Defaiders and the chilling legend around the Beast combine to create a truly horrifying tale of revenge, murder, and evil. Atmospheric and immersive, van Arsdale’s eerie fantasy keeps its focus on Alys’s struggle to reconcile who she is with what she wants to be as it builds toward a poignant and satisfying conclusion. "The book reads like a historical fairy tale set in Puritan America. The mix of magic, folklore, and human struggle will appeal to a variety of readers. It explores the nuance of humanity, while also being about the things that go bump in the night."